Welcome to the second installment of this four-part article series on wisdom teeth. In Part 1, Silver Spring dentists explained that they are the third set of molars, which typically emerge from the jawbone between age 18 and 25. It was also explained that, owing to the fact that our jawbones have become smaller and slimmer over the millennia, wisdom teeth seldom emerge without complication for the overlying gums and neighboring dentition. As a result, dentists typically recommend their extraction before they have a chance to cause a patient pain or do permanent damage. In this article, we shall be looking at the various problems wisdom teeth can cause for Silver Spring residents before moving on to the procedures behind their extraction. For these reasons, dentists in Silver Spring will keep a careful eye on emerging wisdom teeth (both from visible examination and X-rays) to ensure that a patient is not susceptible to these problems. 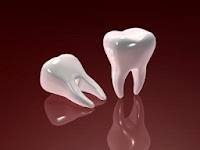 In many cases, a dentist will opt to extract wisdom teeth to prevent risks in the first place. Wisdom Teeth Removal: What Does the Procedure Entail? The method followed to remove wisdom teeth really depends upon their positioning and the stage of their emergence from the gums and jawbone. If a wisdom tooth is emerging with relative ease and has fully erupted from the gums, a straightforward tooth extraction procedure can be performed in a Silver Spring dentist’s office and with only a local anesthetic. On the other hand, if a wisdom tooth is misaligned and/or impacted – i.e. still contained within the jawbone – a more complex procedure will be needed to remove it. In these cases, a quick and painless surgery is often recommended. To read more about the procedures required to extract wisdom teeth and the recovery experience Silver Spring patients can expect, stay tuned for the third installment of this four-part article series.